Is your property located in or near a Special Flood Hazard Area (SFHA)? Many buildings in SFHA areas have flooded several times experiencing what is commonly referred to as Severe Repetitive Loss (SRL). St. Tammany Parish is subject to riverine flooding, ponding as a result of heavy rainfall, and flooding from tropical storm surge. The Parish is concerned about repetitive flooding, and has an active program to help you protect yourself and your structure from future flooding. It is important for the safety of our Parish, our residents and our property and possessions, that we educate the public with the following Flood Facts in order to better equip our community to prepare for an unexpected storm event. - Download a copy of the Flood Facts here. - Download the latest Flood Map here. - Sign Up forAlert St. Tammany to receive emergency alerts for your area. - View Real Time River Gauges in St. Tammany Parish by visiting the National Weather Service. - Visit our Homeland Security & Emergency Preparedness webpage to learn more about how we manage emergency response. Please click on the below listed LINK FOR PARISH projects in st. tammany Parish THAT MAY BE BENEFICIAL TO DRAINAGE IN YOUR AREA. - Make a household inventory, especially of contents. - Get a copy of “Repairing Your Flooded Home” available within the Development Department or under Grants Department/Residential Mitigation section of the Parish’s website: http://www.stpgov.org/index.php/mitigation. - Mark your fuse or breaker box to show the circuits to the floodable areas. Turning off the power can reduce property damage and save lives. - Be aware that some flood protection measures may need a building a permit and other flood protection measures may not be safe for your type of structure, so be sure to check with the Department of Development. - The Grants Department can provide information on programs available that offer financial assistance in elevating a repetitive or substantially damaged building. - Get a flood insurance policy – it will help pay for repairs after a flood and, in some cases, it will help pay the costs of elevating a substantially damaged building. - Homeowner’s insurance policies DO NOT cover damage from floods. 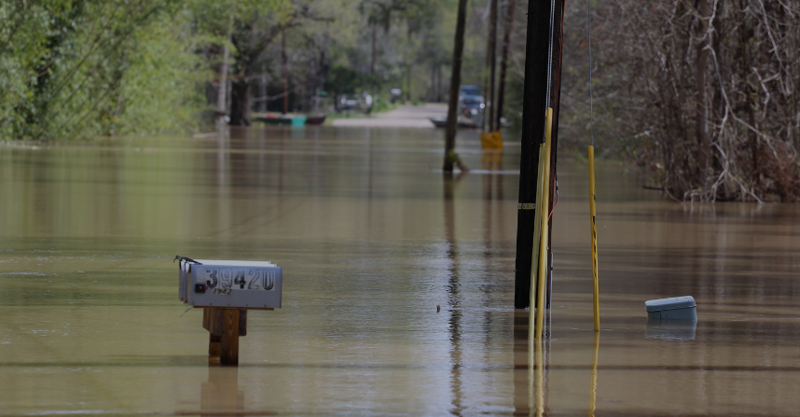 However, because St. Tammany Parish participates in the National Flood Insurance Program (NFIP), you can purchase a separate flood insurance policy. This flood insurance is backed by the Federal government and is available to everyone, even properties that have been flooded. - Any area that is NOT mapped as a Special Flood Hazard Area (SFHA) may qualify for a lower-cost Preferred Risk Policy. - The Parish participates in the NFIPs Community Rating System (CRS) and is at a Class 7. As of April 9, 2014, all locations within a SFHA will receive a flood insurance premium reduction of 15%. - Some people have purchased flood insurance because it was required by the bank for a mortgage or home improvement loan. Usually these policies only cover the building’s structure and not the contents. Due to the flooding that happens in your area, there is usually more damage to the furniture and contents than there is to the structure. Be sure you have contents coverage. - Do not wait for the next flood to buy flood insurance protection. In most cases, there is a 30-day waiting period before the NFIP coverage takes effect. - Contact your insurance agent for more information on rates and coverage.